Fighting the Wind Turbine Scourge!! NY Gov. Andrew Cuomo thinks it’s ‘my way or the highway’. The wind industry rides roughshod over rural communities wherever it goes, and Upstate New York is no exception. 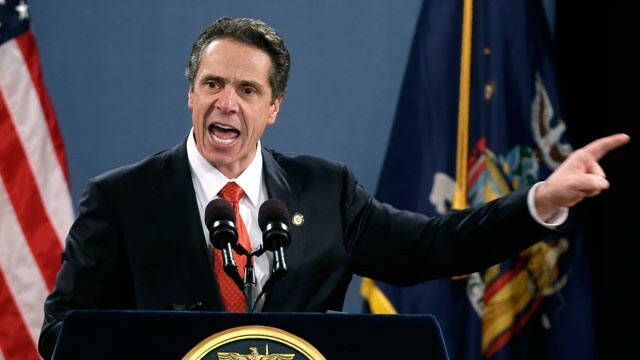 New York’s Governor, Andrew Cuomo is another of the wind industry’s willing ‘enablers’ who seems to believe that arrogance and malice are a political virtue. Crash or crash through is a style long associated with those that are wedded to spearing these things into the hearts of thriving and prosperous rural communities. However, Cuomo & Co have well and truly underestimated the simmering rage that communities harbour for the wind industry; and the political puppets that, at their benefactor’s bidding, seek to ram wind power down their throats.